Mr. Morris does not so much tell the Layla-Majnun story as refract it, ritualize it, multiply it. The emphasis is all on emotion...Mr. Morris's choreography deconstructs and distills the poetic legend with charm and taste. Why See Mark Morris Dance Group/Silkroad Ensemble: Layla and Majnun? 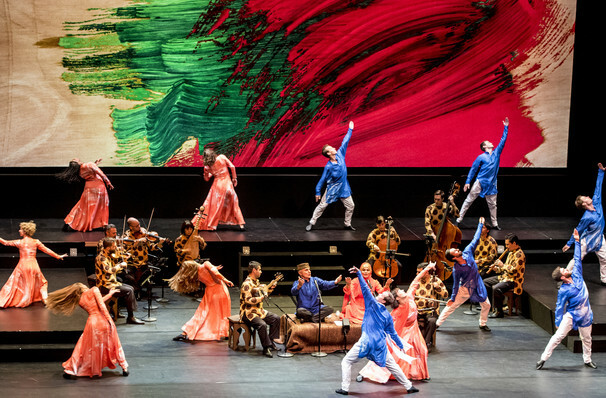 The Silk Road Ensemble and the Mark Morris Dance Group bring their soaring collaboration 'Layla and Majnun' to London once more, after a critically acclaimed world premiere in 2016. The multicultural work was praised for bringing the ancient Romeo-and-Juliet-esque love story between its titular characters alive with an electric marriage of arresting choreography, sweeping scenic design and soul-stirring music. Founded by cello superstar Yo-Yo Ma, The Silk Road Ensemble will perform a 1908 operatic work by Azerbaijani composer Uzeyir Haijbeyli alongside improvised traditional mugham music as sung by renowned father-daughter duo Alim Qasimov and Fargana Qasimova. This underpins the kinetic narrative of the piece's 16 dancers, who embellish a rollercoaster forbidden romance based on a series of pre-Islamic Bedouin poems. Layla and Majnun are in love from birth, but Majnun is perceived as mad in his obsession with Layla and she is later married to another, setting the stage for a heart-wrenching tragedy for the ages. Seen Mark Morris Dance Group/Silkroad Ensemble: Layla and Majnun? Loved it? Hated it? Sound good to you? 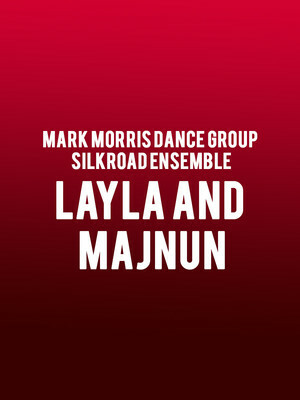 Share this page on social media and let your friends know about Mark Morris Dance Group/Silkroad Ensemble: Layla and Majnun at Sadlers Wells Theatre. Please note: The term Sadlers Wells Theatre and/or Mark Morris Dance Group/Silkroad Ensemble: Layla and Majnun as well as all associated graphics, logos, and/or other trademarks, tradenames or copyrights are the property of the Sadlers Wells Theatre and/or Mark Morris Dance Group/Silkroad Ensemble: Layla and Majnun and are used herein for factual descriptive purposes only. We are in no way associated with or authorized by the Sadlers Wells Theatre and/or Mark Morris Dance Group/Silkroad Ensemble: Layla and Majnun and neither that entity nor any of its affiliates have licensed or endorsed us to sell tickets, goods and or services in conjunction with their events.